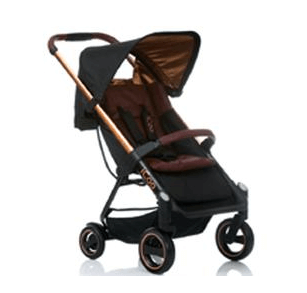 If you are more concern about style ,luxury & modern look so iCoo Acrobat Travel System Review is like cherry on the cake as this is the most stylish stroller I have ever seen with large seat & canopy, all terrain wheels, different safety measures & so on.. 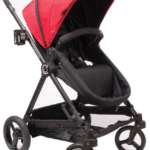 The stroller is light weight & easy to handle, you will get one car seat adaptor for travelling & the deep recline seat gives extreme comfort to your baby. 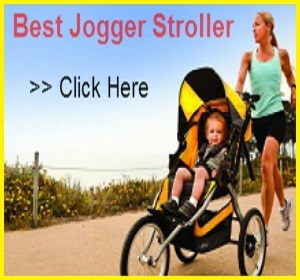 You can use iCoo Acrobat Travel System Review stroller in your daily life for long park walk or shopping, city walk etc. 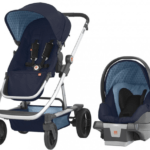 iCoo Acrobat Travel System Review is suitable for infants to toddlers. It rolls on four wheels, the front wheels are 7.5” and the rear wheels are 6”. Because the front wheel is larger than the rear wheels it has better maneuverability can helps to move on uneven surface. 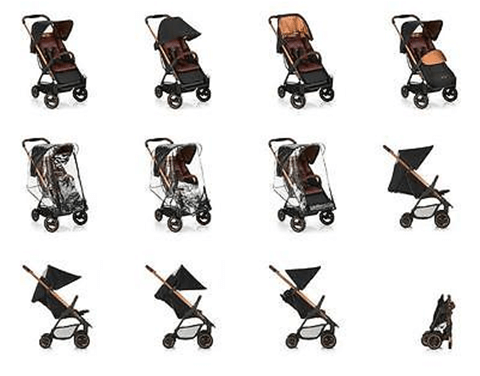 There are two round reflectors located on the front wheels that make stroller visible in the night walk; with the help of lock buttons you can lock the front wheels straight as they can rotate 360 degree. 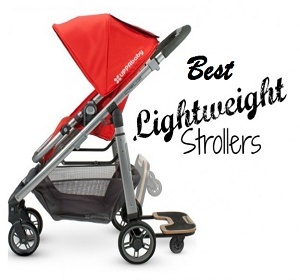 One foot brake is located between the rear wheels but they are not much easy to use & friendly like other stroller. The canopy is not attached to the back of the seat and can be folded down in front of the child to follow the sun; it is large enough to protect your child from sun. It has one peek-a-boo window which is made out of plastic so you can see your baby during the ride. The seat is 5” wide with 17” seat back and a measurement of 23” from the back of the seat to the top of the canopy. The seat has an insert and a head rest; you can remove the insert if you want. You will need only one hand to recline the seat and both hands to bring it back up, deep recline is operated by a strap system. 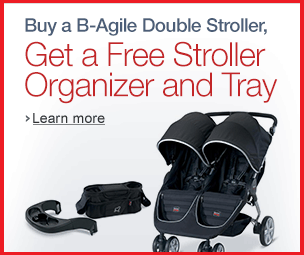 The iCoo Acrobat can be turned into a travel system with iCoo ProSafe 35 infant car seat. 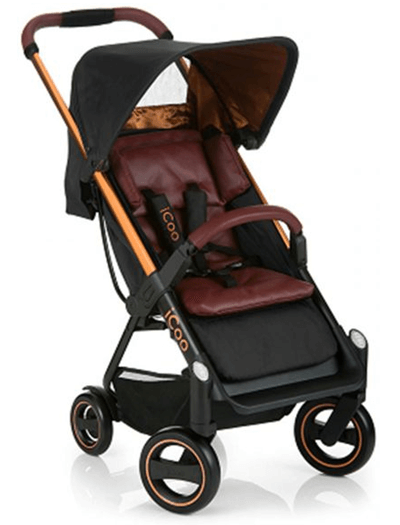 If you are a travelling lover so I know this point is important for you in “iCoo Acrobat Travel System Review”. This car seat can accommodate a child from birth and up to 28 lbs. The telescoping handlebar adjusts from 38” up to 40” from the ground; it is covered with soft leather & good for shorter & taller parents. The removable swing-away bumper bar is covered with nice soft leather. It’s very easy to clean and looks stylish & that is included. It has an adjustable padded 5-point harness with a center release buckle that is very easy to unlock & it will hold your baby tight & safe. There is one adjustable foot rest which goes up & down according to your baby comfort. The all wheels suspension system helps to absorb the bumps & gives a smooth ride. The fold is very easy & compact; it has automatic lock & standing fold. 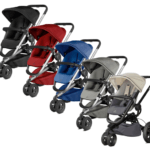 To fold you need to do is push the button on the handlebar, twist the middle section and push the handle bar down till the stroller folds and you hear the click of the automatic lock. I know you will be waiting for this section in this “iCoo Acrobat Travel System Review” but you didn’t find anything extra in the name of storage as the basket is large to carry diaper bags & come of your stuffs but there is no extra small pockets to carry small things or there is no cup holder to hold your coffee. 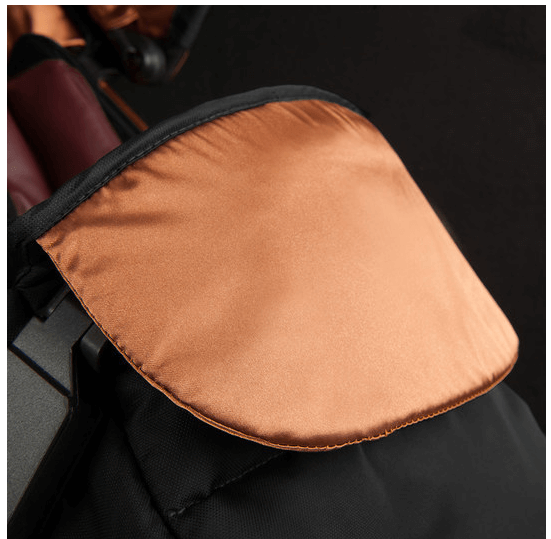 The seat has an insert and a head rest made out of high quality real leather, the leather is super soft & it is also very easy to clean. 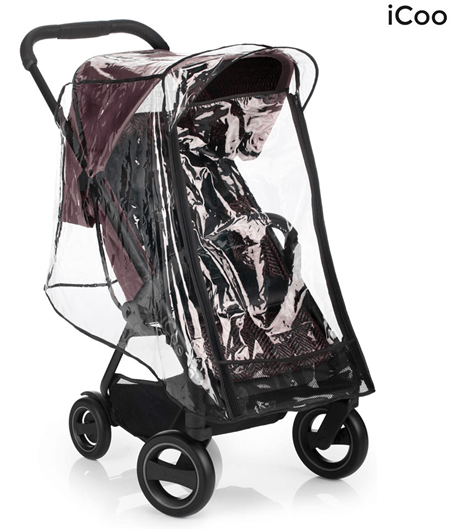 One thing you would like in this “iCoo Acrobat Travel System Review” there is one matching foot muff & rain cover included which is really useful in changing weather. 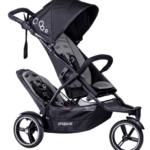 If you want something different to buy so definitely you can go with it as it has all the features you expect in a stroller to make your baby ride smooth & safe.